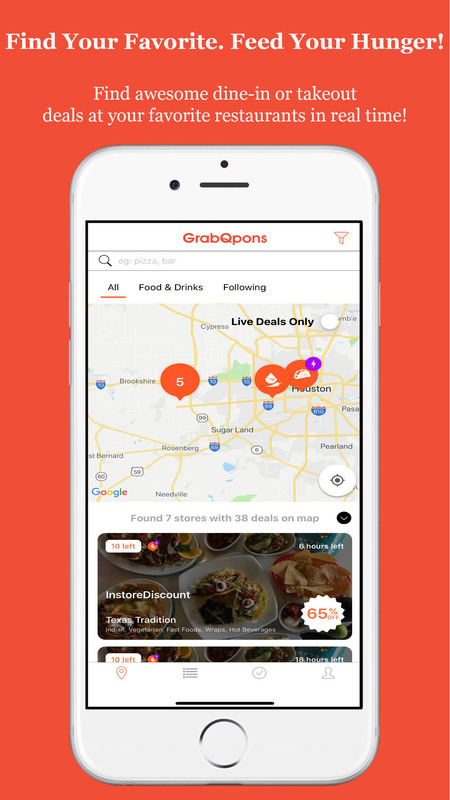 Delicious Daily Deals, just a tap away. Book a table and get up to 50% OFF your bill! Found a restaurant you like. 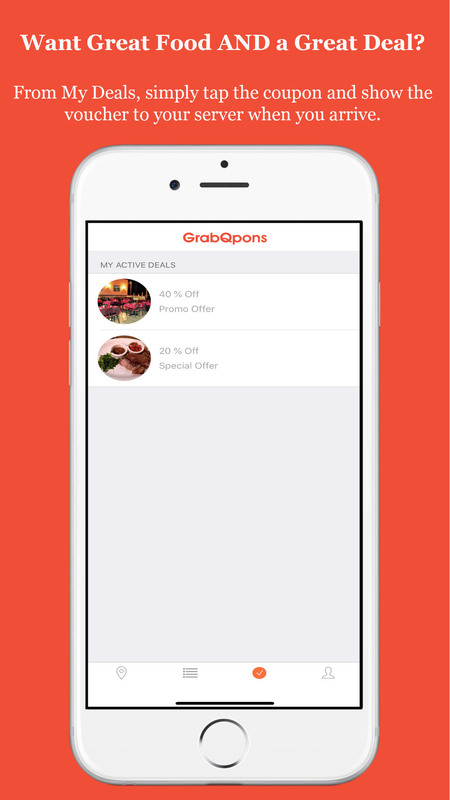 Grab Your Coupon, Feed Your Hunger, Enjoy with GrabQpons! Yearning for some YUM? Want Great Food AND a Great Deal? Claim online or in-store! Follow the stores you love! Never miss their next live coupon! 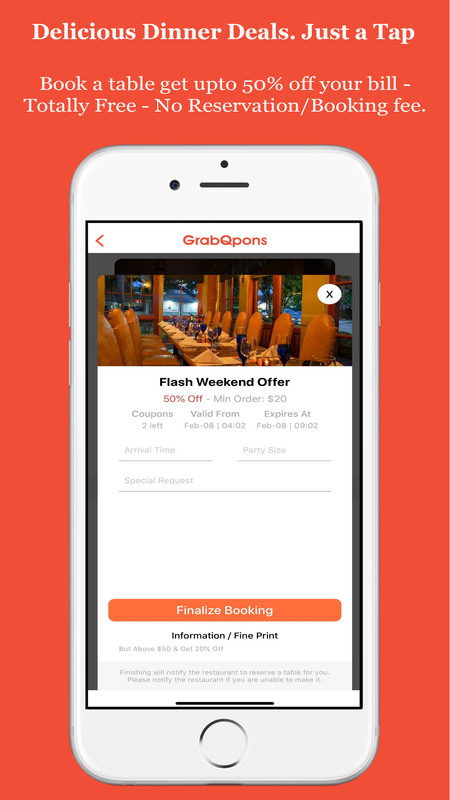 Reservations : Book a table from a restaurant you’d like to try by claiming a last minute deal, enjoy fresh food straight from the kitchen and put more money into your pocket! Orders : Place an order by claiming amazing coupons before they gets sold out or expires! 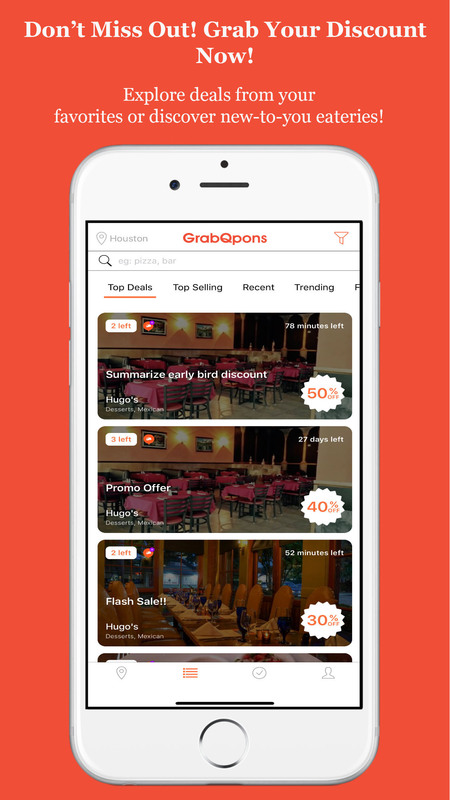 Elite : Be an elite customer with us and get notified with more qpons and deals only for you from our partners. The app is available for free on both iPhone and Android. 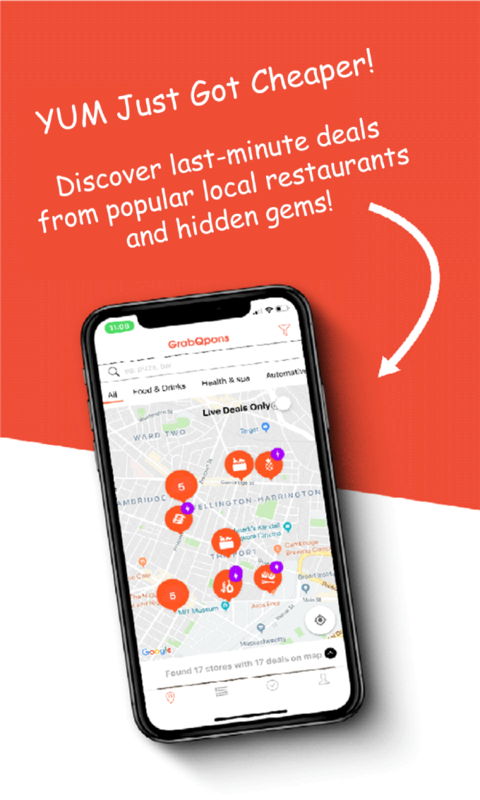 Search for last minute qpons from the local stores you love ! 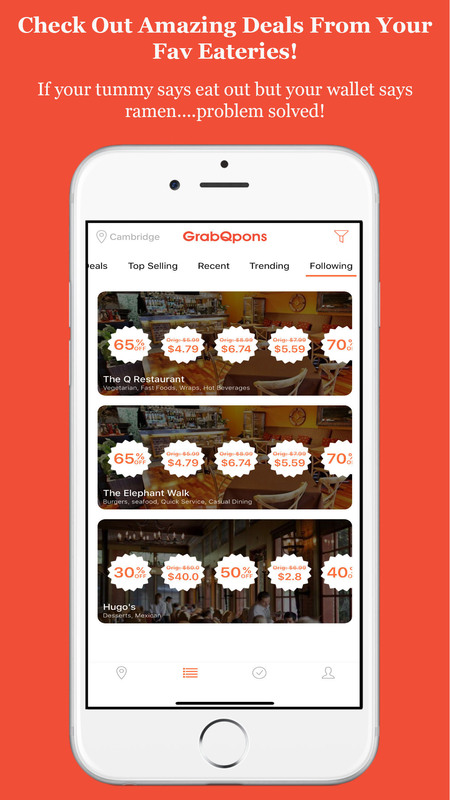 Tap the qpon, Eat in or take out? No matter, redeem online or in-store. GrabQpons. So Quick, So Easy, So Yum ! Exclusive Offers by downloading our app from app and play stores. You're one step closer to enjoy up to 50% off your bill.